A perfect combination that the recipient can’t help but enjoy! 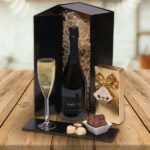 Presented a luxury gift box, this set includes an assortment of delicious Belgian chocolates and a bottle of Prosecco. Your seasonal message and/or thanks can be added to the tag for a touch of personalisation. 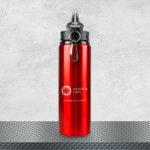 This Aluminium Drinks Bottle offers a premium look and feel, giving your brand some bottle! Many look to January to adopt a healthier lifestyle; whether that's signing up to the gym, or taking part in Dry January, this drinks bottle can help to be a part of their new regime. 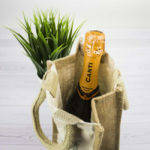 If a bottle of something solves your last-minute shopping woes, but you would like to make it a little more personal, a branded bottle bag can help to present your gift in a thoughtful way. 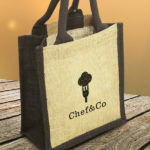 It will remind the recipient of who gave them the gift when they come to drink it, and with the festive season being a time for taking a bottle to various events, the bag can be kept and re-used, creating further impressions for your brand. A handy last-minute gift to show the recipient you care! 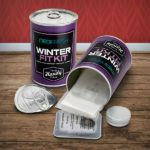 This handy gift includes a pack of Tissues, Hand Sanitiser, Heat Pack and Lip Balm to help beat the cold. The large branding area opens up a variety of options, you can add your message, reinforce your brand and values, or add a calendar design for something a little different, turning it into a handy pen pot and desk item, extending it's use, making it a cost-effective item. Our large Moleskine Notebook is available from as little as 12 pieces. No matter how big or small your team or customer list is, a Moleskine Notebook is a great way to say 'thank you' at this time of year. 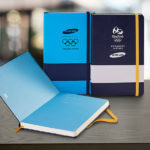 Moleskine is a premium, well thought of brand, that is a cultural icon. One that encourages the owner to capture their creativity, treasured memories and become a part of one's personality, making it a valuable gift for the recipient. Help your customers and employees to beat the cold this winter with a Classic Heavy Knit Scarf. 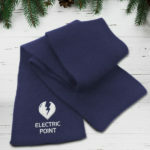 Your logo can be embroidered to the scarf to ensure your gift is warmly viewed and remembered. 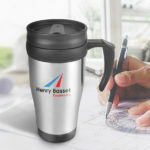 Christmas and New Year is a busy time for everyone, so ensure your customers and employees are well equipped for their travels with a branded travel mug! Re-usable cups continue to be a hot topic, so while you're getting your message of thanks and your brand out there, it'll also show your consideration for the environment, helping towards the war on waste. Our final last-minute gift idea comes in the form of a Branded Parker Pen! Parker is an established brand that evokes luxury, elegance and confidence. 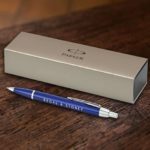 Show what your brand is all about and say thank you to your customers and employees with Parkers IM's Ballpoint Pen, providing a modern design with a choice of seven timeless finishes. 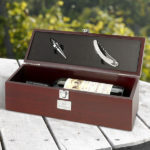 Presented in a gift box, it'll be a cherished item. If we can help you to deliver your last-minute gift ideas, then please let us know! You can call us on 01623 636602 or contact us via the website or LiveChat. Top 10 'last-minute' gift ideas for your customers and employees! We know finding Christmas gifts for customers and employees can sometimes be a daunting task and when urgent jobs, meetings and general day to day take over, it seems more overwhelming as time runs away. However, there’s no need to panic...we’re here to help!